Airbnb is mainly famous for the service of leasing or renting lodgings for travelers. Currently, Airbnb is getting to expand their business in order to organize all the traveling process including the flight reservations to kick off the journey, how explorers spend their time during the trip through and more. I would say that Airbnb is taking over the main travel stream in this century! This revolutionary company calls for your help because of the current travel propensity. What’s the trend for now? Airbnb defines the trend as below. That is why Airbnb is working hard to develop Airbnb Experience service in Japan. 1 Airbnb Experience Can Change Your Life! 3 Why are you hosting on Airbnb? 4 Airbnb Need You Right Now in Kansai! Airbnb Experience Can Change Your Life! Your “Experience” plan will be on the listing on Airbnb after you complete the registration through the box below! Thousands of Airbnb users will take a glance at your program. This ABSOLUTELY enhances your opportunity to host great people with your favorite things. Take Miwako, who introduces her family business through Airbnb Experience. Washi postcard craft gets popular among tourists because of a great story behind the Experience. Participants can acquire some Japanese cultures within only 2.5 hours. Around 30 people come to her program on monthly basis with just only 7 times hosting. The number of people coming to participating in her program is increasing. She does not advertise ANYTHING, but just posted this exciting Experience program on Airbnb. She currently gets around 140,000 yen from hosting. This example above seems to be a little bit hard for you to give hosting a shot since her program is like very “Japanese”. However, here is one more good model. He has lived in Japan only for two years though, he just likes to hang out with people. His Experience is extremely simple: Taking to some places where the participants want to go, and enjoying the local nightlife with them. His open-minded personality drives him to host travelers from all over the world. Do you still think hosting the Experience is challenging for you? Moreover, this is the specific example for someone professional. A friend of the staff in Irodori Inc., who is from Italy, is a professional art creator. He just stayed in Osaka for not that long time though, he joined Airbnb Experience. He offered three days experiences. The contents of his Experience in detail below. He takes participants to a local café that is not known for tourists, which let them experience what the local does. He takes them to the nightclub. They have fun with dancing with the local. Lending a sound studio, he records their songs. During doing all these activities, he is filming them. After the Experience is over, he edits to combine the video and music for them to make the special memory in Japan as the footage. Sadly enough, he is now back to his home and this experience is no longer available. The Experience on the listing should not necessarily include traditional taste. The only thing you need to consider is the specialty that travelers can perceive through your experience. Airbnb Experience will definitely enrich your life mentally and even financially! 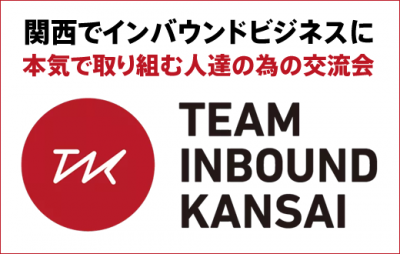 Now that a tremendous number of tourists is rocking all over Kansai area, inbound business strongly attracts the attention. In particular, Osaka recently has been the most popular destination. You might have already seen that the heart of Osaka is crowded with a full of foreigners. 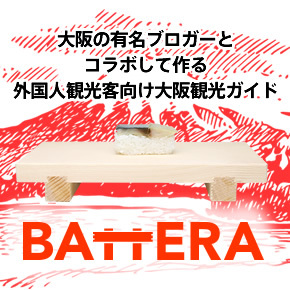 A few years ago, tourists coming to Japan would often enjoy themselves by shopping around. These days, however, they appear to be fed up with doing shops. Instead, they seek exciting experiences that are only available among traveling. The travel trend has been shifting “spending money on the thing” to “spending money and time on the unique experience”. It is about time to share your ability or your favorite things with travelers to entertain them! Let’s make Kansai different, shall we? Why are you hosting on Airbnb? Airbnb is now a professional online travel agency. Do you feel insecure about meeting strangers? Because Airbnb is designed for trust while building a rating and review system. At the same time, anything is done within the app. So every single process is concisely organized, and you can also avoid troubles over your providing experiences. Airbnb Need You Right Now in Kansai! Are you getting interested in hosting? Now is the time to give it a try. Why not those who especially live in Kansai area? Because Kansai is craving for your participation! Osaka has just started the Experience since March in 2017. That is why the number of available Experience there is only one third compared to Tokyo, where the service is launched in late 2016. On the contrary, more and more tourists are coming to Kansai area. They all demand something exciting in there! They long for having fun with you! Moreover, the area where you can host your experience was expanded. Although Airbnb basically allowed you to offer your experience only in Osaka, from last December, you can host whatever you want to do in Kyoto, Nara, Hyogo, and Shiga. It is surprisingly simple that your experience is all set within only 3 mins. The step to go is way easier than your expectation, isn’t it? I illustrate what you have to do respectively. Select “Osaka” (including those who want to host the experience in Kyoto, Nara or other Kansai region), and click the box below. Read all the illustrations, and click the box below. A few more steps left! Please fill in the six boxes. For your help, I demonstrate sample sentences inside the box. Please appeal what you can do and what you want to do! Please enjoy yourself through Airbnb experience and get some extra income! Are you worried about anything about hosting Experience? Please feel free to share your concerns with us below. We are willing to answer your questions. © Copyright 2019 関西(大阪・京都・兵庫)のインバウンド集客や商品販売のことならイロドリ. All rights reserved.